A story about the course of true love. Its uncertainty. Its turbulence. 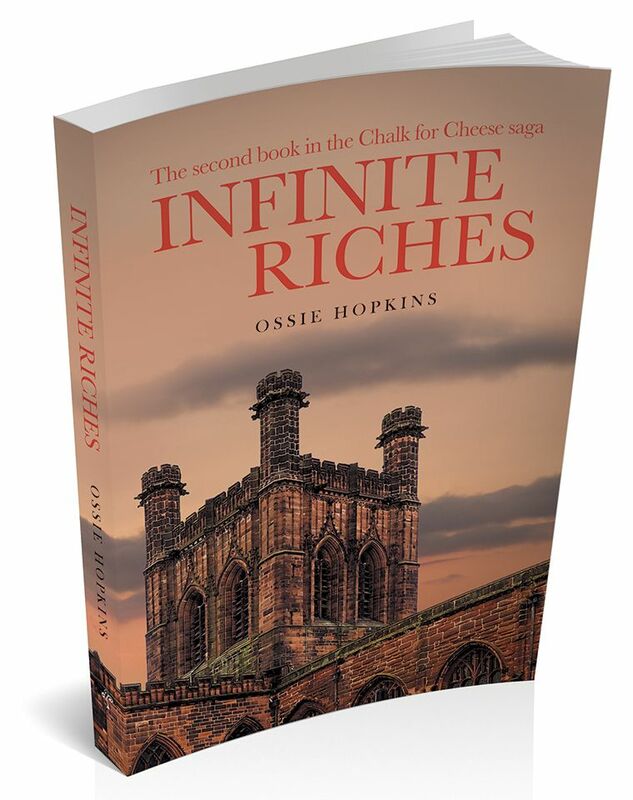 The Swinging Sixties are fading as Infinite Riches opens. This new tale starts where Chalk finished: in a pub in Durham. The protagonists – Jill and Jay – have just met. Inauspiciously. Jay, a spoilt boy, has grown up into a spoilt young man. Arrogant and self-centred, yet charismatic and clever. Jill has matured into a beautiful, intelligent young woman: still a hostage to her upbringing and tangled sexuality, but determined to break the boundaries. Infinite Riches is about the course of true love. Its uncertainty. Its turbulence. Its tantalising unreachability and, ultimately, its possible consummation. Ossie Hopkins read English Literature at Durham and then taught English and also rock climbing at a seventies comprehensive. He progressed to management: apprentice to Cheshire’s chief education sorcerer. A Masters at Manchester University promoted the career but not the writing. As deputy director with Birmingham LEA he produced plenty of soundbites for the dailies, Central TV and Pebble Mill but never got round to real writing. Later he became chief executive at Ribble Valley Council. Strategy papers abounded and leadership’s just like teaching: helping people grow. Must get all this written down. Too late! Palace revolution! Ossie leaves the same way he arrived: fired with enthusiasm! Still, one door closes… And here’s a brand new international institute for customer service looking for advocacy in the public sector. Further corridors-of-power to tramp but yet again – more speechifying than writing. Shown the door…to the open road; and supporting his son’s haulage business. Eighteen-hour days afford plenty of material but little opportunity to write it down until long-awaited, enforced leisure produces Chalk for Cheese and now Infinite Riches. Download a copy of Ossie's Advance Information here.